This is obviously a contentious issue. Frank O ‘Connor, now the principle custodian of the franchise, worked on Halo 2 – it was his first one. And if he reads this article he may be tempted to take a dump on his monitor, perform a voodoo ritual with me as the doll or hire an assassin to take me out, but there’s more to this article than that, Frankie. I’m sure many of us (fans) felt it was rushed, unfinished and could have been so much better. But as storytelling goes, it did reveal an awful lot. It expanded the Halo universe more than any other Halo game and, love it or loathe it, Halo 2 provided us with first-hand experience of the Sangheili perspective. 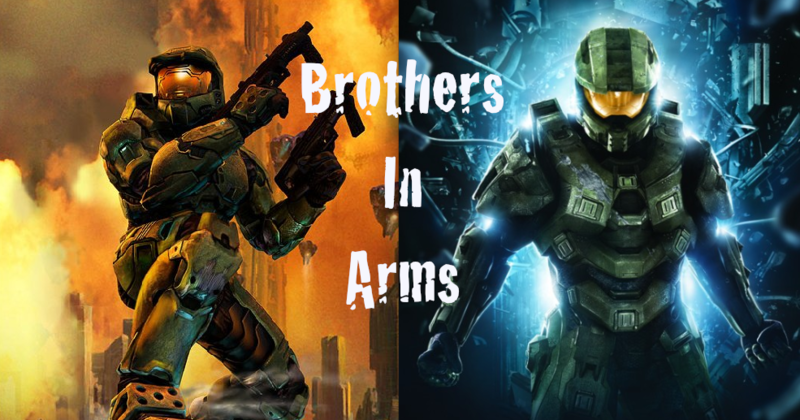 Others, however, will see other factors in Halo 2, such as its refinement of multiplayer or, with the aid of Xbox Live, the ability to simply play against someone in a different town or country from the comfort of your living room. There were a lot of good elements in Halo 2; the only thing that many of them lacked was refinement – the type of refinement afforded by time. In Halo terms, and this includes the more recent releases, Halo 2 was revolutionary. No other Halo game has been as fearless in production or ambition. They’ve all been pretty safe so far. But that could change with Halo 4. But first, let’s look at the pros and cons of a Halo 2 remake. Remakes can be a good thing. Anniversary is proof of that, and it was a vast improvement – visually – on the original Combat Evolved. The scenery for instance, which was impressive in 2001, has been overhauled into a modern masterpiece. But this is, of course, only visually. The game itself hasn’t changed at all. And yes, I know the terminals add to the story and there’s the multiplayer element (which is actually Reach). But the gameplay itself, within the campaign, is still exactly the same. And I like that, to be honest. I think changing it instead of giving it a facelift would have been a mistake, because Halo: Combat Evolved isn’t a flawed product. Sure, there were some elements that were quite repetitive and the Library level was a pain in the arse, but overall it was an excellent example in game design. And 343 Industries took the right route in only improving the graphics and adding a few trinkets. They brought it up-to-date, so that newcomers to the franchise could see how it was in the beginning and us old school could indulge in nostalgia. But Halo 2 is different. It wasn’t finished as originally planned and it was filled with areas that did need a little gloss here and there. Most of all, though, the brutes were deeply unsatisfying as an enemy. I constantly felt as though a group of angry rhinos had taken over the universe and it was up to me to stop them. But hear me out, Frankie. Don’t take that dump just yet. I loved Halo 2. Bungie just needed to finish it, so here’s my advice to Frankie if 343i plan on a remake, don’t! There’s no need to touch it up or gloss it over, or even to add some glitter. Halo 2 was flawed, yes, but in a good way. Sure you could improve the graphics, tweak the gameplay a little or even change the story slightly. But the outcome would alter and ultimately ruin the game, the universe and the resultant storylines. Halo 2 was a flawed game, but it was an important one. So leave it alone. Move on. And that goes for everyone. We have the future to look forward to, namely Halo 4. Halo 2 was an ambitious game. And from what we’ve been hearing lately, Halo 4 will be the first instalment of the franchise to finally follow on with that tradition. That’s not to say the other games have been garbage, because they haven’t. They were deeply satisfying and enjoyable, and full of great additions: Forge, theatre and Firefight, to name a few. But they were safe, grounded, familiar. Only Halo 3: ODST came close to changing that, but fell short on substance and longevity. So where might Halo 4 take us? And what areas of game design will it dare to practise? The first of the new Reclaimer trilogy has to be different for a number of reasons. It has to set itself apart from the other – Bungie produced – instalments. 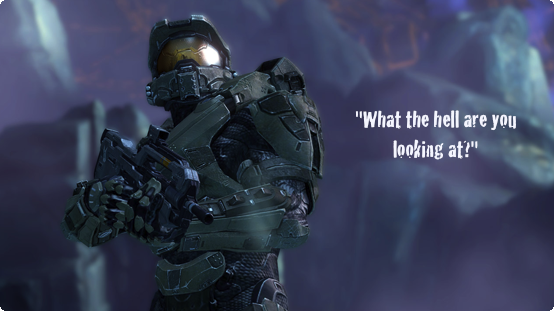 It has to establish, very firmly in the eyes of the fans, that they (343i) mean business and value the franchise. But above all else, it must be innovative, fresh and, in Halo terms, revolutionary. It must take us to places we’ve never been before. Not just in terms of location or narrative but as an experience – as a complete package. And I bet my nostril hair that coming up with something close to or exactly like that wasn’t an easy process. But what can we actually expect to see? John-117 will be different. We know that already. But not so different that we won’t recognise him. He’ll still be the same stoic character that we’re used to seeing, except this time he’ll have more, well, character. He might even be a little more ‘on edge’ throughout missions or more involved in the decision process when it comes to approaching a mission, instead of blindly following orders. Cortana will be, I think, a much darker character than before. She’ll be dangerous and unpredictable – a more capable or overt foe for the enemy to deal with. As for the journey itself and the foes we’ll face, they’ll be something else entirely. Isolated and mysterious Forerunner structures will be out, and new, operational and familiar aspects of a Forerunner presence will be in. We may even have two factions of the Forerunners to deal with – one for humanity and the other against it, along with this ancient enemy. And I don’t think the statement (in Halo: Cryptum) of it being the last Precursor is as clear cut as it seems. It may be Precursor in some form or other, but I don’t believe its how they originally started out. In other words, it’s not your typical run-of-the-mill Precursor. Weapons and vehicles will be another exciting element in the new trilogy. 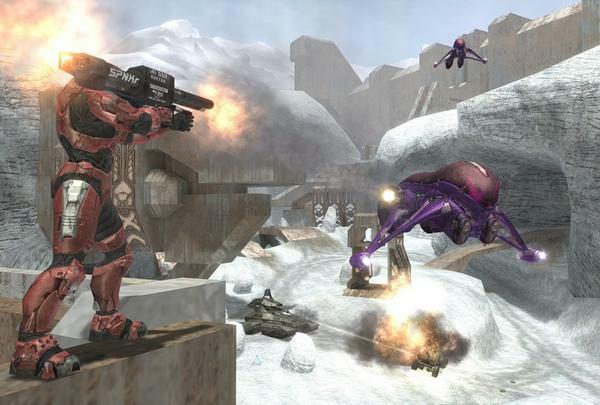 Halo 2 introduced a couple of extras that provided something different to Combat Evolved, such as dual wielding, and the Battle Rifle — a popular choice among the community. We also had the Spectre — a Sangheili version of the Warthog. But unlike the BR55, the Spectre didn’t stick around and was never seen again. 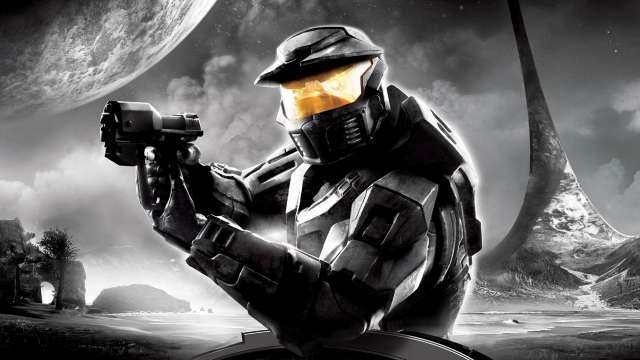 But when it comes to Halo 4 we might see some very different weapons and vehicles to master. There’s the war sphinx, a technological masterpiece of death — a vehicle that can be manned or controlled via those who succumbed to their wounds. Perhaps even Cortana will be able to stomp around with you, possessing a war sphinx when available. It could provide a darker element to her character as you could watch her rip the enemy apart without mercy. Then there’s the love or hate aspect of Halo 2, the Arbiter, or should I say the fact that you play as him. As I mentioned in my previous article on Halo 2, I was annoyed at playing as the Arbiter but I did grow to like him and being in his shoes, seeing the other side of it all. Would Halo 4 try something similar? Might we, for the first time, step into the digital shoes of Cortana and see the conflict through her eyes, fighting enemy AI and breaching defences and perimeters through subversion and digital guile and grace? It could provide a finer appreciation of her abilities or even the difficulties she faces each and every pico second, whilst trying to retain her sanity. Or, then again, it could ruin the game. Regardless of what may or may not be in the new trilogy, 343i have a mountain to climb in terms of exceeding expectations and delivering something truly amazing. But I think they can do it. No, I know they can do it. They’re a studio with one goal, to make Halo games. And they’re a studio that consists entirely of dedicated Halo fans. So I seriously doubt they’ll be happy with releasing an inferior product. We, as fans, expect something epic. And for 343i, nothing short of exactly that will do. As a gameplay experience, I felt that Halo 2 was the weakest overall. Among the biggest issues are: broken weapon balance, which is partially due to the introduction of dual wielding; a multitude of game-breaking glitches in multiplayer; overly linear levels in Campaign; overpowered enemies in Campaign (especially the sniper Jackals); tedious boss battles; no fall damage. The game was rushed, unfinished, and insufficiently tested, and it shows. It did, however, excel in its narrative. The Arbiter was a great co-protagonist and the Covenant civil war subplot was excellent. Halo 2 also had excellent MP map design, which served to counter the various glitches and weapon balance issues that plagued MP. Halo 4 should definitely strive to have the strong narrative and good MP maps that Halo 2 had, but in terms of weapon balance I hope it’s more like Reach, and in terms of Campaign level design, I hope it’s closer to Halo 1, which to date still has the largest, most open Campaign levels in the series. Another thing that I hope 343i does, which would help develop the Chief as a character, is actually have him talk during gameplay, just like the characters of ODST. There was a lot of opportunity for witty banter between the two in the first trilogy (“This cave isn’t a natural formation.” “No kidding.”). You have to give Bungie credit that, despite the rush, was able to make a playable game that introduced a lot of new features and gave more depth to the Covenant.